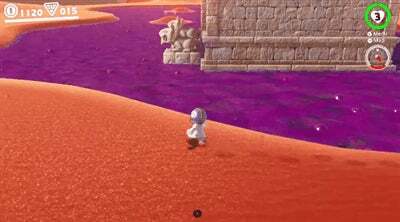 One of the most impressive things about Super Mario Odyssey is the tight controls: Nintendo's mascot has a ton of movement options. 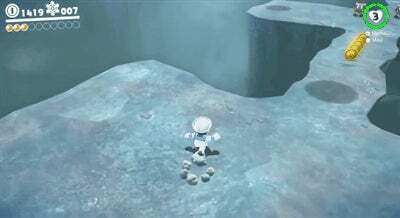 Players are using Cappy to skip entire portions before a Moon, or are using the hat to get into hard-to-reach areas. Better yet, Nintendo seems to have anticipated that fans would try to bend and break Odyssey. After @optichob's video went viral, a number of other players have attempted this jump as well. The hidden coins are now considered a testament to Nintendo's playful design sensibilities. Thanks to the Switch's new video share capabilities, there's all sorts of similar footage involving advanced Mario jumps floating around. Here are some of my favourites. No passageways needed, ThatTuba says. And here's one more race that's way too long to GIF. WJMack shows us that actually, you don't need frogs at all here. Now, if you want to learn how to move like these people do, might I suggest reading up on our jumping guide? It will completely change the way you play Odyssey. Since getting Odyssey I've not seen the family Switch. One of my two kids will constantly have it playing Mario. I'm honestly thinking of getting a second Switch. So people have never attempted to find shortcuts in other video games? 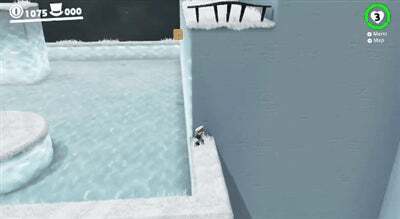 Due to the ridiculous moveset, this game is way more "broken" than just about any other platformer, yet the developers have seemingly already been everywhere you could imagine. It achieves the freedom of botw in a completely different manner. The potential is pretty fantastic. But its no different to someone finding easter eggs in GTA or Dark souls for example. People do it in every game with free roam. Dont get me wrong, Things like this can be interesting but the author of this article is acting like its the first game ever in which people have gotten bored and started trying to search for hidden things and its the most amazing thing since sliced bread.